Amritsar Portal, Hotels, Flights & Directory Discussion › General › Please Help? There are Six Niwas which provide lodging facilities for pilgrims, maintained by the Sri Darbar Sahib authorities. The reception counters work around the clock to attend the visitors. Sri Guru Ramdas Niwas: Also called Sri Guru Ram Das Sarai, was built in 1931. This project was initiated by the Local Gurdwara Prabhandak Committee Amritsar and its foundation stone was laid by Sant Sadhu Singh ji of Patiala on 17th January 1931. This building has 228 rooms and 18 halls spread over 2 stories, with modern sanitation and other amenities of civil life. Guru Nanak Dev Niwas: This building houses sectarian offices of the different departments of SGPC apart from the lodging facilities for pilgrims. Guru Hargobind Nawas: This building is situated near Gurdawara Baba Atal Sahib. Sri Guru Ramdas Library is situated in its basement. Guru Arjan Dev Niwas: This building is situated at the entrance point to the main sarai area. It houses branch of Punjab & Sind Bank and scooter parking. The main booking counter for the rooms is also situated here. Mata Ganga Ji Niwas: This stands exactly opposite to Guru Hargobind Niwas. It also houses INTERNET DEPARTMENT of SGPC. SARAI BOOKING IS OFFERED ON FIRST-COME-FIRST-SERVE BASIS SUBJECT TO AVAILABILITY OF ACCOMMODATION THE DESIRED DATE/S. 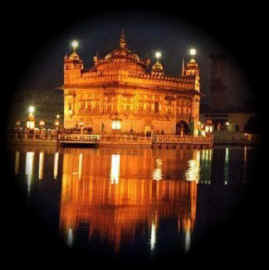 I want to visit Amritsar and thniking to book sarai is it possible to get accomodation if I book 15 day earlier. My planning to visit in the month of January 2008.Please give me advice.